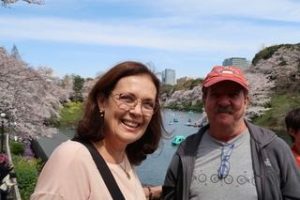 A Brazilian couple was very lucky because they could enjoy cherry blossom in Tokyo. 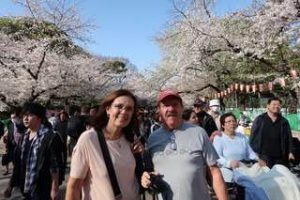 As you may know, the flowers are on the trees only one week to 10 days after it starts flowering and so for overseas tourists, it is very difficult to see the cherry blossom. 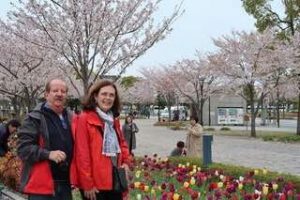 But this year, the temperature had been unseasonably low after getting full bloom and they continued flowering for additional several days. 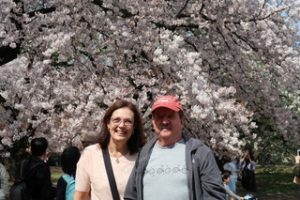 As a guide for them, it was very easy to accompany them because they really appreciated the flowers and I did need to explain so much.